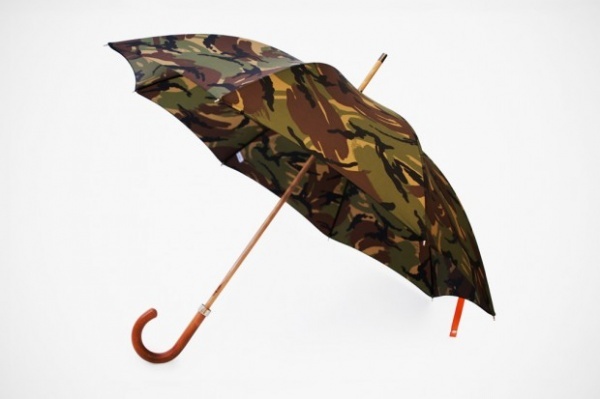 London Undercover, producer of high-end umbrellas & accessories has taken their refined ‘City Gent’ model & given it a bit of unconventional camouflage treatment. The pattern, called ‘British Woodland’ is a combination of Western European temperate colours & is one of the more appealing camo’s to come out in recent years. Made in England, the umbrella features a Beechwood shaft & Malacca handle. Shipping worldwide is free at London Undercover.